UPSC SO/Stenographer 2019 Recruitment [Apply Online, Application Form] : UPSC Section Officer (SO)/Steno (Grade B/Grade – I) LDCE Notification 2019 will be released on the 18th of September 2019. Candidates will have to submit their applications online for these positions before the 10th of October 2019. UPSC has scheduled test date for this recruitment will be the 14th of December 2019. The test will be conducted for 500 marks, which will have both objective and subject type subjects and even 100 marks other than these 500 marks will be allotted for evaluation of record of service for the final selection of candidates. 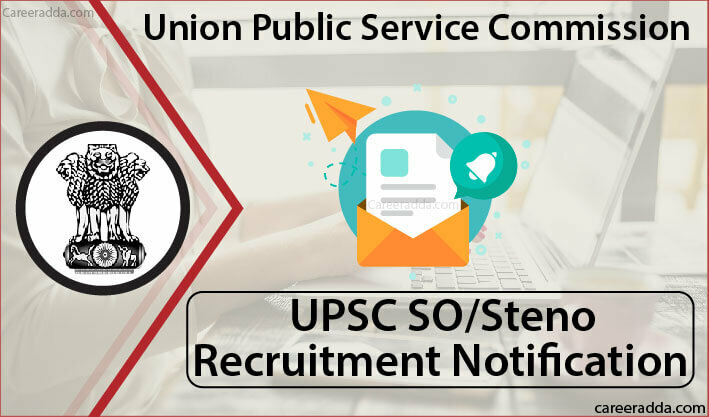 Candidates can expect the release of notification for the UPSC SO/Steno position to happen on the official website of the Union Public Service Commission at http://www.upsc.gov.in/. Once the official notification is out, candidates will find a link to the advertisement for these positions right on the homepage of UPSC. Similar to the categories above, for each category, there will be a different experience and educational requirements that candidates can gather from the official notification page. However, candidates are recommended to make sure that they meet the experience and educational qualification requirement as stated by the Union Public Service Commission before they apply for any category of UPSC SO/Steno Recruitment 2019. The application form should be submitted by candidates for the UPSC SO/Steno position over the web. They will also send the printed copy of the submitted online application through their department head or through the head of the office of the UPSC. UPSC SO/ Steno – How To Apply Online? Candidates meeting the eligibility requirements will have to apply online through the official website of UPSC at www.upsc.gov.in. Candidates will have to submit the online application before the last date as per the notification. They should submit the application before 11.59 pm on the last date to apply. After this date, the link for applying online will be disabled. Candidates are recommended to make sure that they fill up the columns in the online application form correctly. They cannot change the entries after submission through any channel. When they visit the website of UPSC, candidates will find a link called “Apply online” on the right side of the website. When they click on this link, they will find the link to various positions for which online application gateway is open. Candidates will have to click on the appropriate link for the SO/Steno position. When they click on this link, they will get to a page that contains the list of instructions to be followed for filling up the online application. Here, they will have the option to print the instructions or they can click on the next option. Before they click on the proceed button, candidates will be prompted to click on the declaration that ensures that they have completely read the instructions. Once they click the proceed option, they will be taken to a page that asks their registration ID and password. Once they provide these details, they can log in to the website of UPSC to fill up the online application. They will have to enter the basic details and should follow the onscreen instructions to proceed with the submission of application. Candidates, planning to take the written test for this position in Hindi will have to opt for the same in the application form. Otherwise, it will be assumed that the candidate will take the test in English. After they submit the application online, they will have to print the copy of the submitted application and should send it to the UPSC through their department head or through the head of the UPSC and they should do this within 15 days from the last date to apply online. When they apply online, candidates will have to enter details under different categories like service preferences, employment information, parental information, educational information and personal details. So, they should have the required documents to fill up these details. Once the application is submitted, they cannot make any changes. So, they should carefully furnish the details. For the objective type paper, there will be four options given for each question. For every wrong answer given by a candidate, there will be 0.33 mark deduction as the penalty for that question. 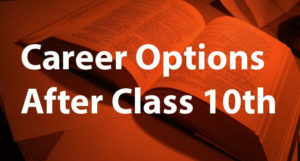 Candidates get the option to write the subjective type paper either in English or in Hindi. All three test booklets will have questions given both in English and in Hindi. There will also be a shorthand test either in English/Hindi to be taken up by applicants. This test will be in the form a dictation test at the speed of 100 words per minute for 10 minutes and candidates will get a time of 40 and 55 minutes respectively for English and Hindi Transcription. There will be a maximum deduction of 5% marks for illegible handwriting. The Organization of the Machinery of the Government of India, allocation and designation of subjects between ministries, departments and attached and subordinate offices and their relationship. 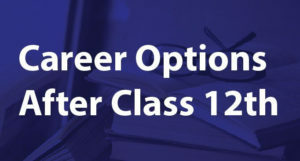 The questions in Paper II will be detailed and intensive to test the knowledge of candidates in the methods and procedures of work in the Government of India Secretariat and associated offices. Detailed knowledge of General Financial and Service Rules like TA Rules, Leave Rules, and Conduct Rules will be tested. For paper III, Candidates will have to prepare precise drafts and notes on a specific topic and they will have to precise the information from a paragraph. Based on the written test, candidates will be shortlisted and they will have to secure at least 40% of marks in the evaluation of the record of service as well. Do not forget to carry it to the test centre. You can search whether your roll number is present on this page to know whether you qualify. The qualifying standard for each part/paper of SO/ Steno will be decided by the UPSC and accordingly, the commission will publish the merit list of qualified candidates. UPSC reserves the right to fix the qualifying standard for any or all part/paper of the examination. The commission will publish the category-wise merit list on the basis of the number of vacancies available for each category.